Plastics is one of these complex social-ecological issues for which there is no one definite answer. The materials’ durability and diverse use has transformed everyday life, but has also led to risks due to its accumulation in the natural environment. This is why PlastX is taking a holistic approach that generates new scientific knowledge and at the same time contributes to hands-on solutions for a more sustainable use of plastics. To achieve this, we leave behind purely disciplinary approaches and engage societal actors to connect practical and scientific knowledge. The first step has been done successfully. On the 20th of October 2016 we welcomed 16 experts in the field of plastics ranging from federal institutes and regional authorities in the water and environment sector, associations representing consumers and industry, retail and other private economic actors, international cooperation, civil society actors as well as researchers from different disciplines. 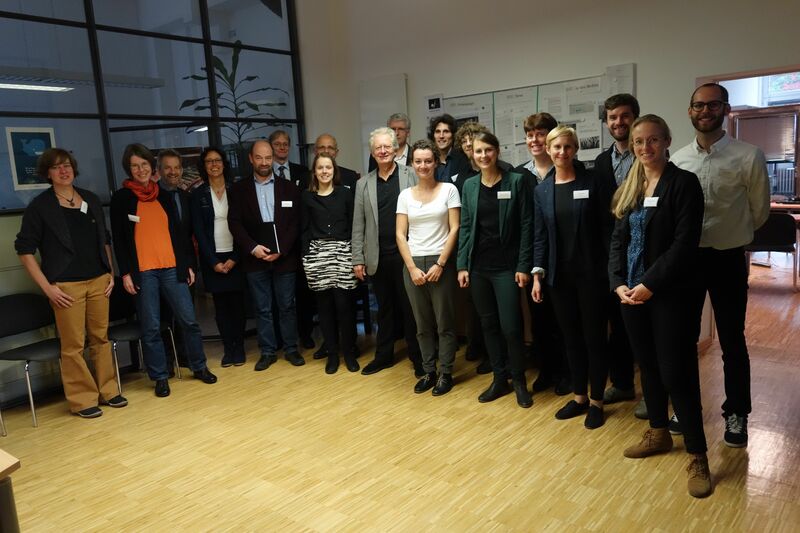 The workshop was the kick-off for a sequence of three more meetings within the next years in which this group of PlastX project partners will assemble to exchange on social-ecological aspects of plastics. The kick-off workshop served as a first encounter to set a common ground for the most relevant research questions. The PlastX team just finished presenting the project and the dissertation proposals, when discussions already started around interactions between different packaging materials (especially bioplastics), cultural aspects and waste management; about recycling and governance structures as well as about research methods on microplastics. It revealed different entry points to tackle social-ecological issues connected to plastics as well as scientific challenges. In the afternoon we discussed more in depth about specific aspects of “Plastics in the aquatic environment” and “Food plastic packaging” in two groups. The stakeholders focused on the current biggest challenges regarding plastics during its life cycle as well as solution strategies and future visions. Potentials for waste reduction regarding plastic packaging were seen in political regulations, new distribution systems as well as innovative packaging technologies. Hence, recent trends like ‘intelligent packaging’ bear potential to be reframed with explicit social-ecological imprints. Concerning “Plastics in the aquatic environment” questions like the need for a threshold value for microplastics in water bodies as well as the challenges to minimize plastic entry into the aquatic environment were tackled. What do we take out of the workshop? The different viewpoints and expertise from various backgrounds laid the ground for fruitful discussions and a great chance for exchange that facilitated learning processes on all sides. Participants valued the open-minded and the integrative approach of the project team. And once again, we realized the complexity of the topic. Our next challenge will be to identify the key questions for a transdisciplinary and problem-centered analysis of social and ecological dimensions of plastic use while taking into account the interdependencies and context-specific differentiations for a sustainable handling of plastics.